On 24 November, ICA Principal Letitia Prinsloo was awarded golden Commandeur status by the Chaîne des Rôtisseurs, signing the Livre d’Or and receiving her Commandeur Insignia at a special induction ceremony at the Mt. Nelson Hotel in Cape Town. Letitia’s professional membership with the Chaîne des Rôtisseurs spans more than two decades and in 1994, she already received the International Chaîne des Rôtisseurs blazon for her restaurant, La Maison in Pretoria, being one of the first ever female chefs to receive this accolade. Letitia also served as Bailliage of the Western Cape region for many years, leading the Jeunnes Chefs Competition whilst acting as an international judge for its annual competitions all over the world. In conjunction with the Jeunnes Chefs Competition, the Grande Chapitre is a yearly Chaîne des Rôtisseurs gathering for all its members. The one and only time ever that this gathering was held in South Africa, the ICA was specially selected to be the host at its Spier campus in 2003. 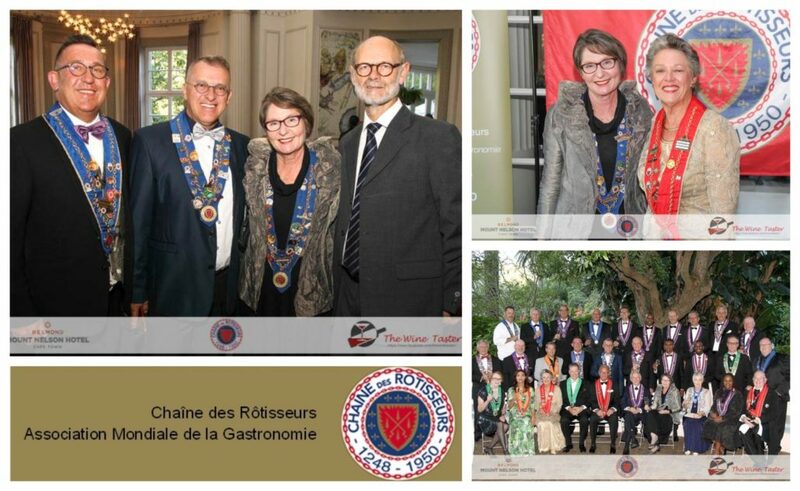 The Chaîne des Rôtisseurs is the oldest culinary society for professional and non-professional members, dating back to 1248 and serves to uphold culinary standards globally.